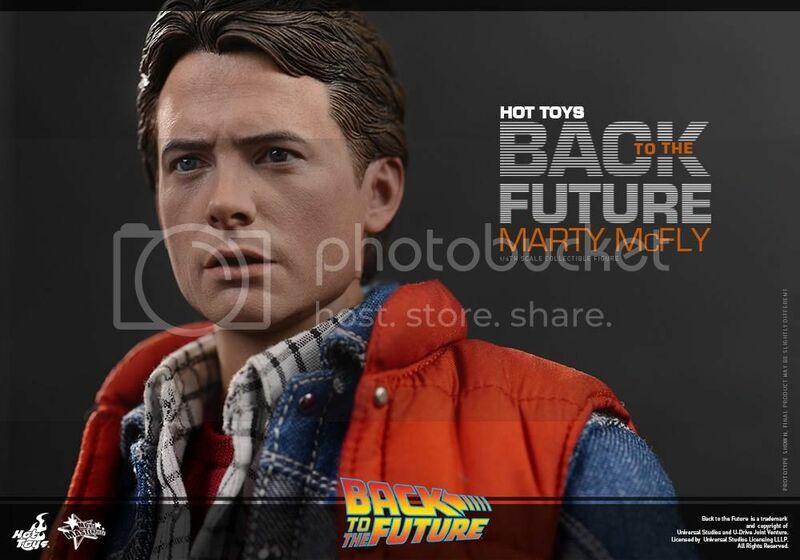 Hot Toys Marty from Back to the Future! 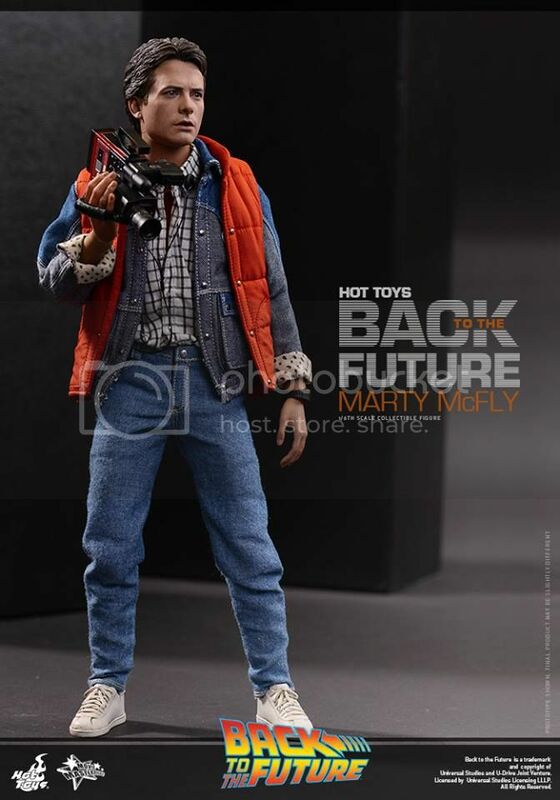 Hot Toys announced they had plans for "Back to the Future" figures couple years ago and finally they are revealing some progress! 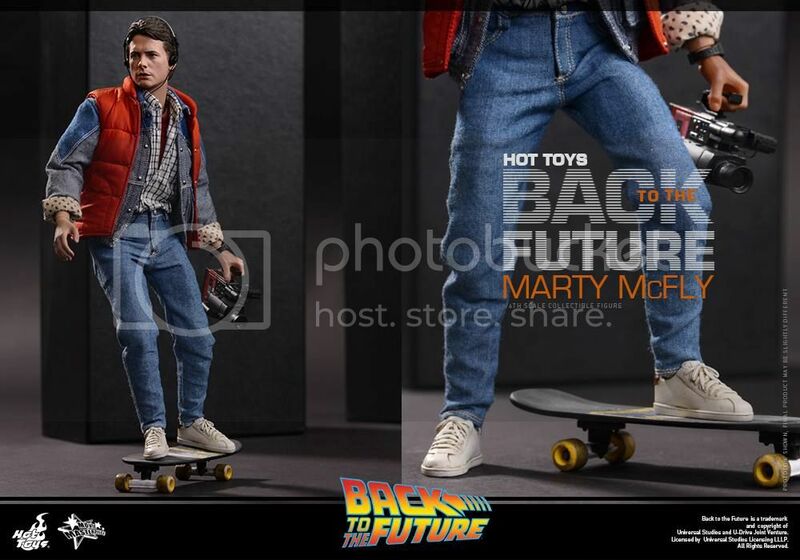 Since it's Hot Toys we are talking about here, pics above are not final product and could change drastically. It could be just me but the face could use a little more work but again it could also be the lighting they used to take these pics + Photoshop skills. 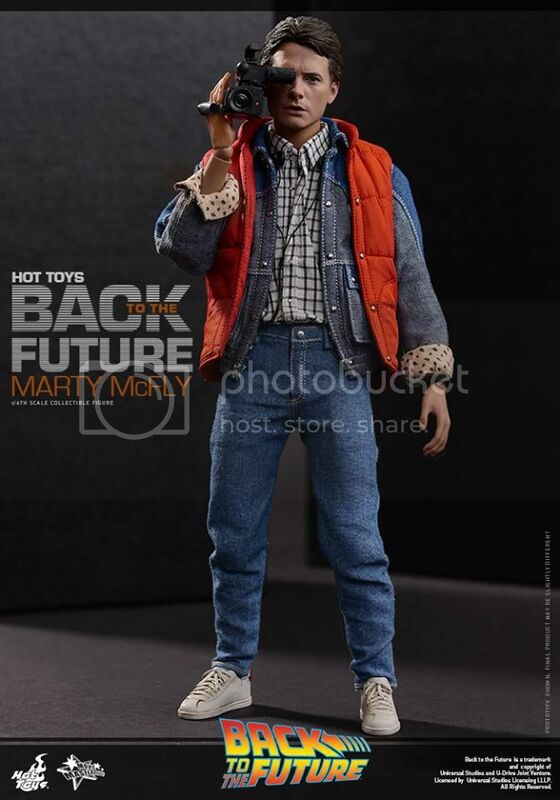 No Pre-order available yet in NA but if you are attending San Diego Comi-Con you can see Marty + Delorean and the Doc himself displayed at the SideShow booth! We will definitely try to get our hands on all of them so be sure to check back (in couple years) when this figure is shipped out! Don't disrupt the time continuum. 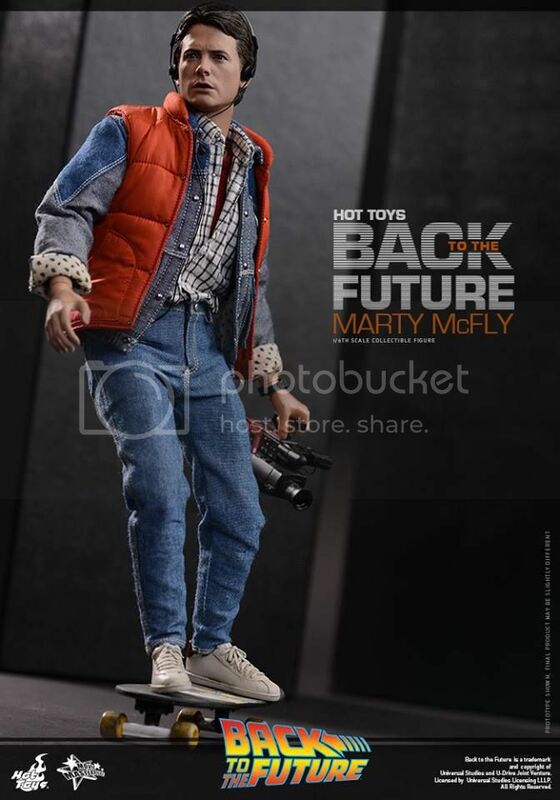 Pre order him now! 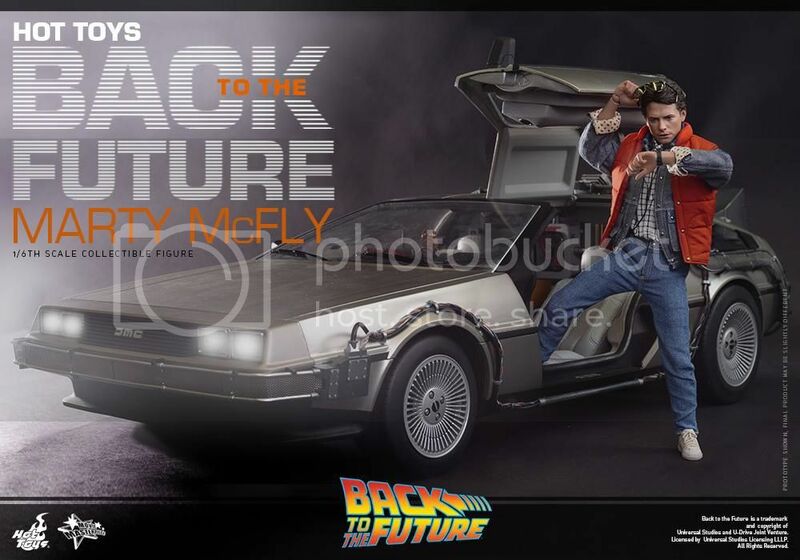 “This is heavy doc.” Back to the Future is a pop culture icon and one of the best time-travel films of all time! It remains to be a highly popular movie even decades after the film is first released! 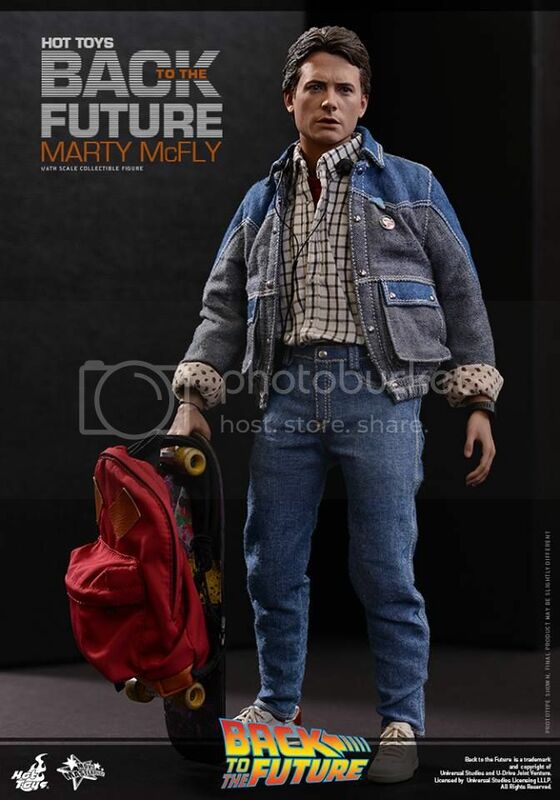 Next year marks the 30th anniversary of this classic film and today Hot Toys is very excited to present the 1/6th scale Collectible Figure of the film’s main character – Marty McFly! 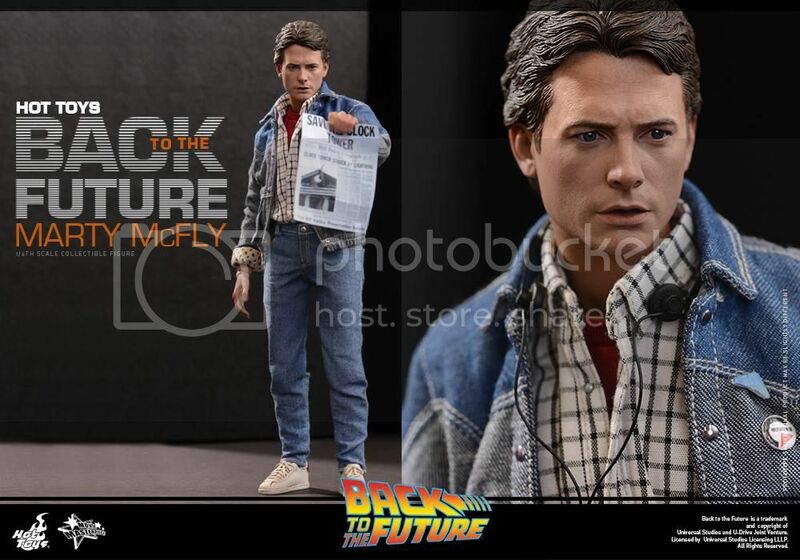 Back to the Future fanatics should not miss the opportunity to pre-order this wonderful collectible figure! 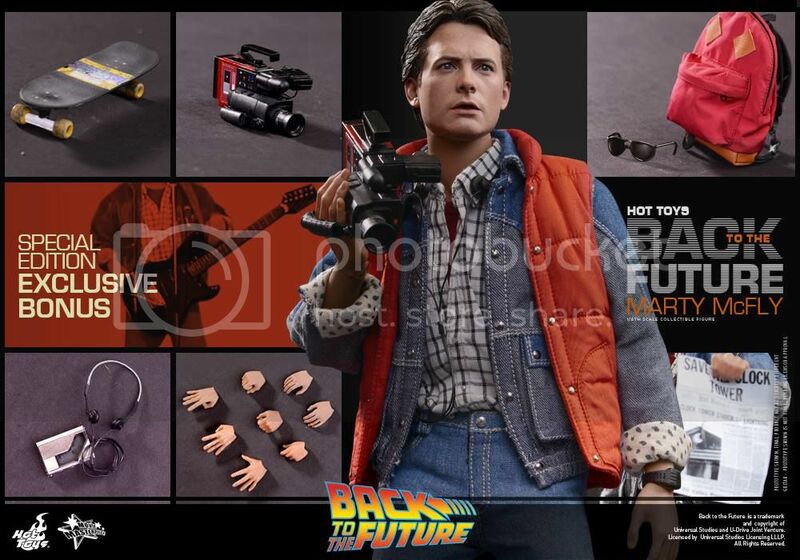 Pre-ordering at Ani-Com will include a 1/6th scale guitar as bonus accessory. 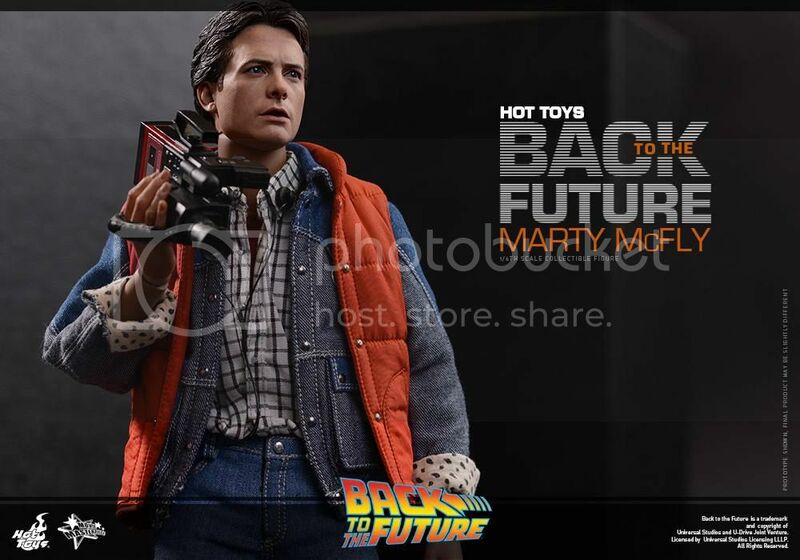 Hong Kong customers please stay tuned on Hot Toys-Secret Base Facebook Page for pre-order arrangement details.